Sa Rina, female and born in 1972,graduated from The University of Tokyowith her Master’s degree and Ph. D in History of Science in 2004 and 2008, respectively. 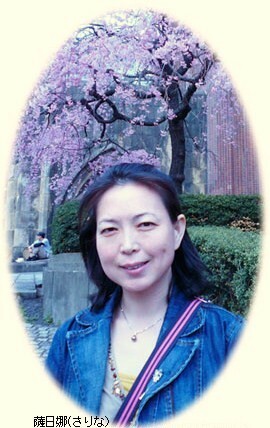 Her dissertation is in connection with The Acceptance of Western Mathematics in China and Japan. At present, she is an associate professor at the Department for History and Philosophy of Science, Shanghai Jiao Tong University. History of Mathematics, Education of Mathematics, Mathematics and Culture. 1, “The Establishment of the Tokyo Mathematical Societyand the Historic Significance”, International Symposium on the History of Mathematics and mathematical Education Using Chinese Characters. No.5(December 2004):144-150. 2, “The Establishment of the Equivalent Society and the Decision of the Early Meiji EraMathematical Term”,Traditional mathematicsof Japan research institute bulletin, No.6(March 2005):3-22. 3, “A Characteristic of the Early Period of Meiji Mathematics to Consider by Tokyo Mathematics Company”,Studies in thePhilosophy and the History of Science, No.19 (March 2005):2-41. 4, “Study on the Source of Rate 1/2.96 in Calaculating Volume of Pyramid of Wasan in the Early Edoperiod”, Journal of GuangXi University for Nationnalities (Natural Science Edition),No. (March 2005):35-39. 5, “The Conflict between Traditional and Western Mathematical at the Tokyo Mathematical Society in the Early Meiji Era”, Archive for Philosophy and the History of Science,No.9 (March 2007):1-27. 6, “The Spread and the Influence on Early Period of Meiji Japan of the Translation in Chinese West Mathematics Book of　The Late Qing Dynasty”, The History of Mathematics Education Studies between neoteric and modern Japan and China ,No.6，(September 2007):116-145. 7, “The Chinese Overseas Student’s Western Mathematics Education in SEIJO School”,Proceedings of the Exchange of Mathematics Education Studies between Japan and China,(December, 2007): 67-74. 8, “The Euler’s Mathematics in Early Meiji Japan：The case of Nagamune JINBO’s Kuntenhan Daisujuts”Journal of History of Mathematics,No.197(June 2008):1-24. 9, “Investigating the Characters of Mathematic of Early Meiji Period Based　on the Book Kikagakugenso”,Journal of Northwest University (Naturaal Science Edition),Vol.40,No.4(Serial No.187),(August 2010),737-741. 10, “Chinese Translations of Mathematical Works by Hua Hengfang and Internationalization of Japanese Mathematics During Meiji Restoration”, Studies in theHistory of Natural Science,Vol.29,No.4(October 2010):pp.446-455. 11, “The Students Dispatch Project of the Imperial University of Peking and Its Contribution to Chinese Modernization”,Journal of History of Mathematics,No.207(September 2010):1-12. 12, “The Chinese Overseas Student’s Mathematics Education in Tokyo Daito Gakko”, Journal of History of Science,Vol.49,No.256 (September 2010):216-226.